Allianz UK is delighted to announce it has reached the fundraising target of £1million for the company’s charity partner, Air Ambulances UK. To help raise the money, Allianz’s employees across the UK have abseiled down buildings, taken part in Monster Triathlons, took the Jurassic Coast challenge over the hottest weekend of the year and held on tight during a 100mph zip-wire ride – all to raise money and support the vital work of Air Ambulances UK. 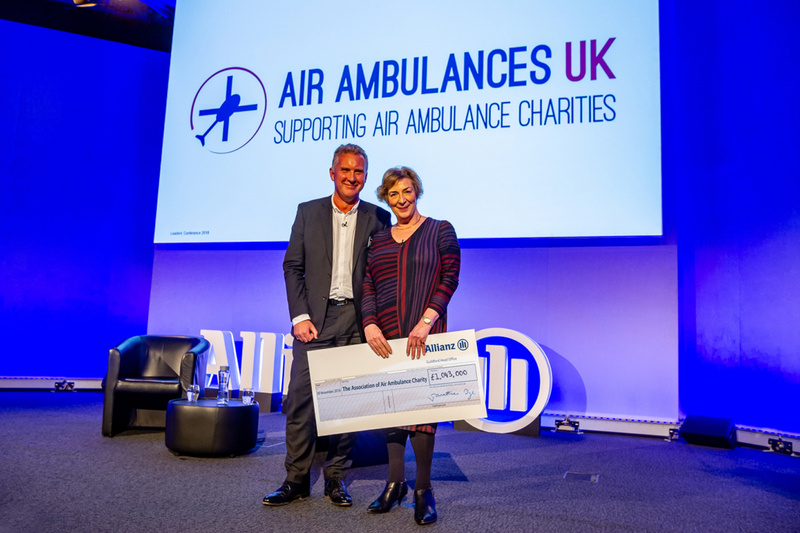 “Thanks to all the fundraising efforts and generosity of our employees, we have raised £1million for Air Ambulances UK. This fantastic achievement has made a real impact on local communities. “Over the last three years it’s been great to see so many Allianz employees getting involved in various fundraising activities, I even had the ‘pleasure‘ of abseiling down our office in Guildford! Allianz Insurance started its partnership with Air Ambulances UK in February 2016. Air Ambulances UK is a national charity that provides the unique opportunity for nationwide organisations to centrally donate to the 21 individual air ambulance charities that are saving lives across the UK every day. “Reaching the £1,000,000 milestone is great testament to the extraordinary commitment, passion and enthusiasm of Allianz employees across the organisation who have dedicated their time and raised funds to make this partnership so successful. On behalf Air Ambulances UK and all of our 21 beneficiary air ambulance charities, thank you for your outstanding achievement.